I watched Saturday Night Live tonight. Not my usual pleasure. I was totally confused when the show opened with a "Wayne's World" skit complete Wayne and Garth and headbanger mullets. I pinched myself for fear I was having some sort of trauma flashback. I honestly blinked and thought, "Woah, is this a rerun from the 90's? Is the current Saturday Night Live that bad they have to pull reruns from the 90's?" But then Mike Myers and Dana Carvey started talking about the current Oscar Nominations, which freaked out my tired brain even more. I'm still not sure it really happened. 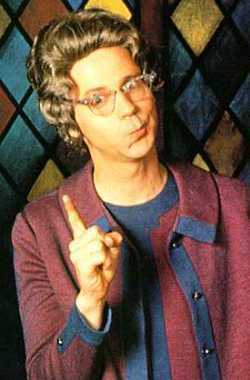 Dana Carvey as guest host later did the Chruch Lady, who I always thought was just the right mix of truth and absurd. Church Lady had choice words to say about several of t.v. 's current show line ups, mostly shows I've never seen but are always splashed across the gossip magazines. As a point of fact, I kinda agreed with that old Church Lady Ha! What does that make me? Justin Bieber made an appearance. I don't know much about the boy. He's a young cutie who still sings like his voice hasn't changed. If I was 13 I'd adore him. But I'm not 13, and the most remarkable thing I notice about him is that his momma probably doesn't have to remind him to wash his hair every time he takes a shower. I guess he has a "wholesome," image. Is he truly a clean-cut, well adjusted teen or is he just waiting until he turns 18 to become John Mayer? -- who is another singer I don't listen to, but always seems to be on magazine covers because of who he is currently sleeping with. I wish I was sleeping. Deep lovely sleep nestled next to my gently snoring husband. I've tried natural melatonin, and over the counter stuff. Dosen't work. The doctor gave me some stuff when I was transitioning off of mood-medication, and that didn't work either. What works is the sun coming up. Then I am tired, then I could sleep for hours and hardly wake up. I know. A friend and I were chatting about daily devotions and bible reading. The Bible always makes her sleepy! I'll go try that! A dose of Palms will put me right out, and even the Church Lady cant complain about that. ----note to readers: I read through this 3 times and found mistakes each time! I bet there are still several more, but I'm posting anyway. when I can't sleep I pray or repeat the word Holy (& mean it) or Glory or some such praise word(s) Because sometimes I think that's what we are supposed to do when we can't sleep. Finding mistakes, when one types, late at night. -chuckle- Actually, that's not the worst thing that can happen, when on the Net, late at night. One can find a zillion new blogs, or Groups or etc. then! And join them all! And in the morning wonder, what in the world you were thinking of!!! Said as someone who has done such. And learned to not go on the Net, late at night. -gigggles- But then, that's just me. I'd love to know the present shows, which the Church Lady disapproves of. You leave us guessing, when you don't "fill in the blanks." ,-) There are a billion shows, which *they say* that *everyone* watches. But I don't! All kidding aside, I am so sorry you suffer from insomnia. It is an awful thing, and I am very grateful that I do not suffer from it. no wonder you couldn't sleep, with things like JB and John mayer on the brain! Oh, I've had nights like that when I couldn't sleep until right when the sun starts to come up and the alarm is ready to ring. It's so annoying and frustrating. 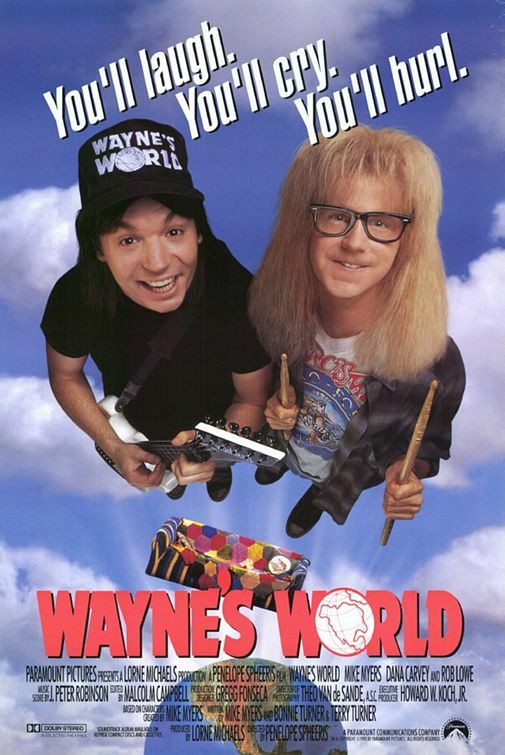 A "Wayne's World" skit would have made me wonder if I had gone through a time machine or something too! I'm the other side of the coin lately - I've been in bed most nights by 9pm. But I can sympathize with you my friend. They say though to stay off the computer - it gives you too much stimulation. I haven't watched SNL in years...but I totally used to love Mr. Bill. Church Lady was always my favorite! love the church lady! we used to watch snl quite abit but i am usually out like a light by the time it is on. is it on later or am i just getting older? please say the first is true! i love the church lady. i'm usually asleep by the time it is on now. is it on later or am i just getting older. i fear the last one is correct. dang it! A dose of Palms ... *chucklesnort* ... that oughta do it. I've never watched SNL under any circumstances or in any phase of nocturnal wakefulness, but I imagine my take would be nearly identical to yours! Hope you get some of that deep, lovely, snuggly sleep tonight. I just love you...that is all. Well, and I've missed you too. So I guess that's not all. Having trouble with sleep aids that is proven safe and effective? Then it is time to look into natural sleep aid. This may be the key to give you a good night’s rest!